I have some exciting news! I am in San Francisco attending the American Chemical Society Spring Meeting. I made the rather unusual decision to stay at a youth hostel this time: the Pacific Tradewinds. As it turns out, there are quite a few attendees staying here – in fact 4 of my 5 room-mates are going to be walking with me this morning to the Moscone Center! There are many parallel sessions, and we all have the impossible task of choosing between excellent options. The program runs to 607 densely printed pages; so getting the conference app was a big help. 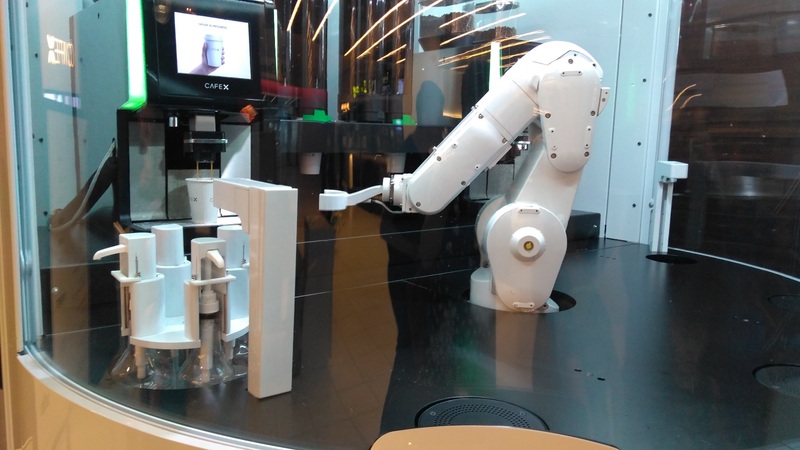 Yesterday I discovered that there is this booth – called Café-X – in a building near the Moscone, where you can have coffee made and delivered to you by robot; so you can guess what I will be doing every day this week!